What an exceptional place to spend a week off the grid. 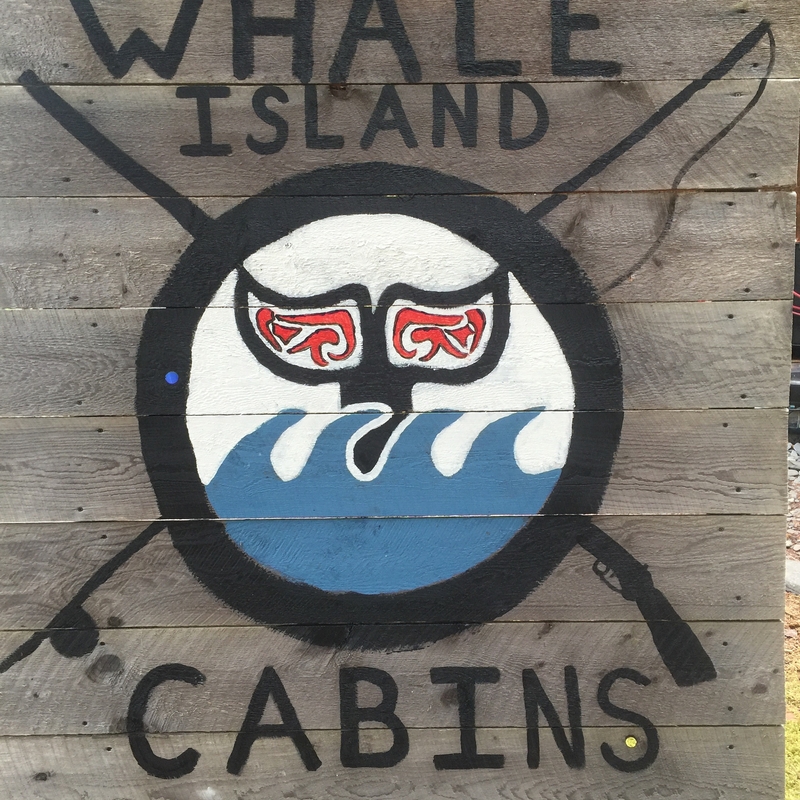 Whale Island cabins have all the amenities of home. We flew Island Air over there and our pilot was great. Once we unloaded our gear on the beach, we used the 4-wheeler and trailer to take everything up to the cabin. Once in the cabin we turned on the generator which provided power for lights. We started a fire in the wood stove and it didn’t take long until it was toasty warm inside. We brought groceries from Kodiak and ate like kings the whole week. We also brought 10 gallons of unleaded for the generator which was plenty to have movie night every night. 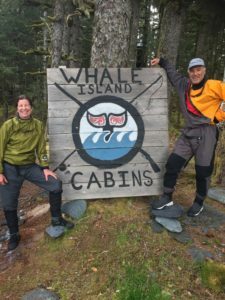 I highly recommend Whale Island cabins for the rugged Alaskan or the city slicker. If you are looking for an absolute beautiful place to spend a few days, you will not be disappointed. Kat and Donnie are great hosts and have made this little slice of heaven available for you to experience at a great rate. Wow. 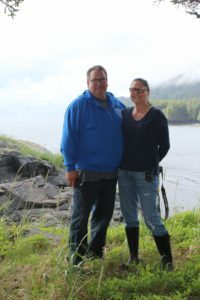 Whale island is truly a unique and authentic Alaskan experience. Kat and her son were more than accommodating. We couldn’t have asked for better hosts! Sadly, we were only there for the weekend. There is so much to do and discover that I would recommend at least staying 5-7 days. The adventures are endless! 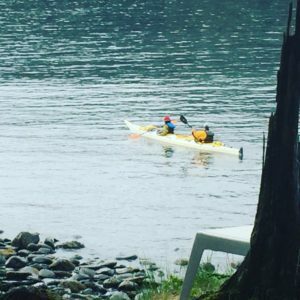 There’s fishing, kayaking, hiking, unbelievable waterfalls, abundant wildlife (not to brag… but we were able to kayak next to a handful of spotted seals, eeeek!! ), and the list goes on and on. We will for sure be back to visit Kat and Donnie! I’ve been all over Alaska and Whale Island is now definitely one of my favorite places in the state. Now that’s saying something!! Add it to your list people, you’ll be glad you did. If you’re looking for a secluded gorgeous place to stay ,Whale Island is the spot. Kat was a fabulous host, working with us on details ( food to pack, fishing charters, etc.). We stayed for 6 nights in the Whale Cabin which has a full kitchen and a comfy bed, it seemed larger than the pictures. 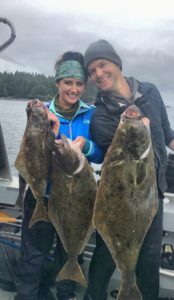 Aleut Dance Charters came to Whale Island and picked us up for fishing, We caught 22 and 28 pound king salmon and halibut. 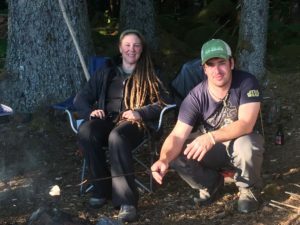 That night we cooked up some fresh fish over an open fire. Plenty of exploring moss covered trails, beachcombing, and kayaking. Kat showed us the other cabins, NICE. Kat and her son Cade were helpful getting us settled in, helping with luggage, explaining generator, water or anything we had questions about. Also letting us know how much interaction we wanted with them was up to us, they are definitely fun to hang out with. if you are chained to your internet device this might not be the place for you (or is it?) We would recommend if being remote is your thing! !l Whale Island is on our list of places to revisit. Thanks again Kat!